If you’re shopping around for an inexpensive pod system, maybe this deal will help you out. 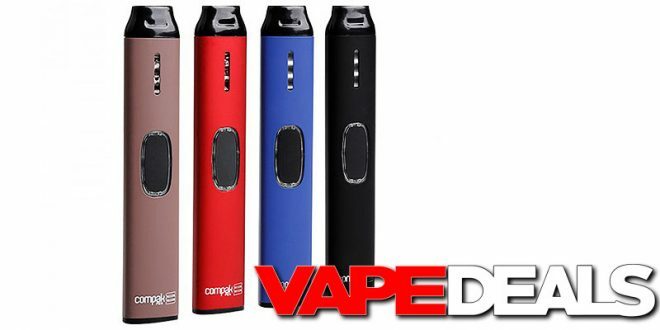 The Sigelei Compak Pen Kit is currently on sale over at Breazy for only $7.49. And, of course, you can always get an extra 10% off if you apply coupon code “VAPE.DEALS10” at checkout. That should drop the total down to $6.75, which is about the average price for a disposable device! Seems like a great deal for an open (refillable) pod system. They still have 3 colorways in stock too: black, blue, and red. As always, keep in mind that shipping is FREE when you spend $50 or more.